From the 12-15 September, Amphenol Martec will be exhibiting at the DSEI exhibition in London. 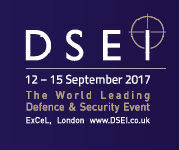 DSEI is the world leading defence and security event where industry sources the latest equipment, systems and components. Since 1987 Martec has designed and developed innovative interconnection device solutions for critical applications, with superior engineering Martec works through the complete product development cycle to meet exact requirements.